Welcome to Paloma Pottery Wholesale. We recently merged our wholesale shopping site http://www.glasspotterywholesale.com/ into one online shop here at www.PalomaPottery.com - retail prices shown below. To receive wholesale prices, please provide us with a valid Resale Certificate number or Federal Tax ID number with you inquiry. Thank you for your interest and please recycle. 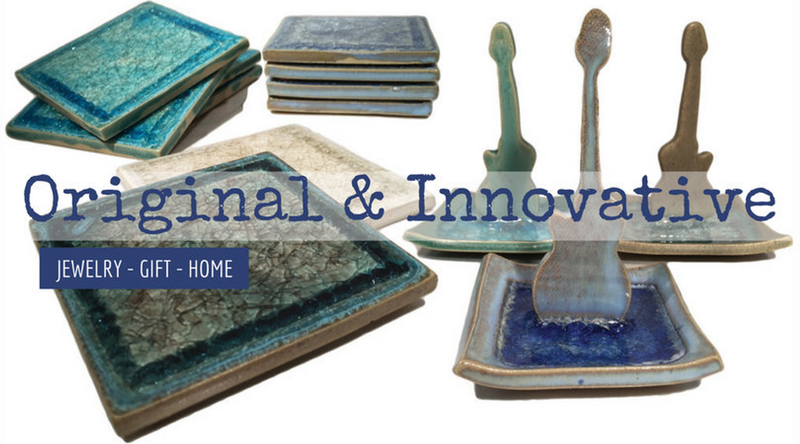 Paloma Pottery was founded with a mission to care for our earth and those living on it. By turning an environmental problem, litter and waste, into a solution for beauty, this business both retail and wholesale has been honoring the earth for over 16 years. By employing the other-abled, and choosing all recycled or sustainable packaging, this company walks its talk every step of the way. Founder Nicole Whitney knows that aligning personal health with community health and ecological consciousness yields amazing results every time. Ancient Dragonfly Soap Company, based at the entryway to Washington's San Juan Islands now offers a lovely complement to the handcrafted excellence of Paloma Pottery's recycled glass creations. Recognizing a common spirit of quality craftsmanship and ecologically sound business, Whitney is pleased to forge wholesale partnerships through this wonderful package. Paloma Pottery Wholesale (formerly glasspotterywholesale.com) is now located within the same website for ease of maintenance and efficiency. Please contact us anytime with any questions, comments or concerns. We're here to serve! Paloma Team 877-669-0783 customer service and wholesale inquiries 8am-5pm PST.